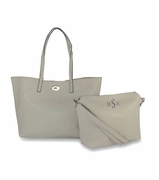 Monogram Tote Handbag. Fashionable two tone over the shoulder faux leather tote bag. 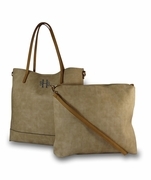 Treat yourself to this timeless everyday tote handbag. Fine detailing, contrast stitching and unlimited styling. Choose from three color combinations to match this years ensemble. Black-British-tan, Teal-British-tan, tan-brown. Spacious interior and plenty of pockets. 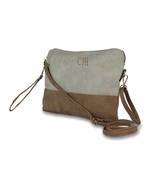 Interior has a center side to side zip pocket, inside wall pocket and outside zip pocket and closure. 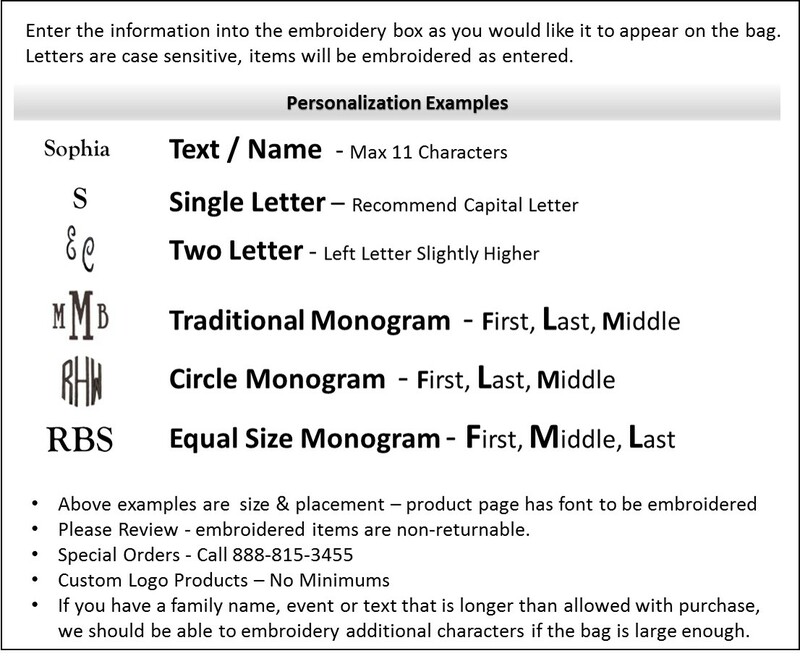 ACCENT MONOGRAM WILL BE PLACE ABOVE THE OUTSIDE ZIPPER, APPROXIMATELY 1-1/4"H.
The monogram two tone faux leather handbag tote measures 15" x 11".